When you commemorate another person or event, you honor them or cause them to be remembered in some way. A demise can be the death of someone or the slow end of something. An edifice is a large or impressive building such as a church, palace, temple, or fortress. A sepulcher is a building or room, usually made of stone, in which dead people are buried. Mozart’s Requiem, or funeral music, is incredible in its ability to portray grief. This requiem, or musical piece which honored an Austrian nobleman’s wife who passed away, is one of the most popular musical pieces for a funeral ever written. In listening to the orchestral requiem or song for the dead, one is reminded of the entire spectrum of human emotion, and most listeners are moved to tears of grief. Quiz: Try again! What is a requiem? It is a form of music which is highly emotional. It is a service for the dead, or the musical accompaniment for it. It is a particularly sad mass at church. A requiem is a mass at a funeral, or a piece of music written for the dead. Return to Quiet When a requiem is performed for someone, we know that he has returned to everlasting quiet because he has died. A requiem is sung for those who have permanently gone to “rest,” that is, have gone “back” to the earth. 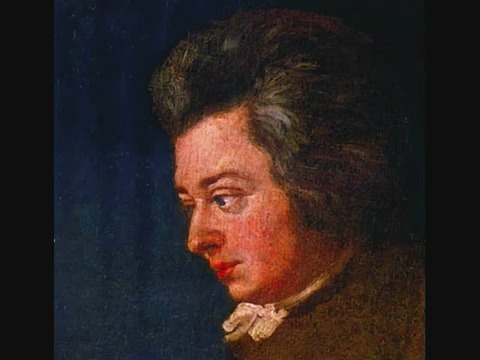 Mozart's Requiem Mozart's final masterpiece was commissioned by Count Franz von Walsegg.